Tap: Target creature gains haste until end of turn. Thank you all for the comments! Obviously the commander and deck are very new so expect many changes soon! Daedalus19876 yes I'm considering adding more, but i don't think I really need too much. 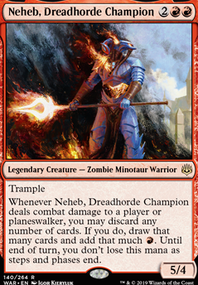 Neheb only needs to deal 1 damage for the ability to trigger, and 5 power with trample is enough to get a hit in at my metas' tables anyway. I have 4 buff things at the moment, which now that I say that, feels too low. Though I'd like to point out that double strike is far more important because of the double trigger, meaning twice the cards seen and twice the mana. Any good buff suggestions? Thinking Bloodforged Battle-Axe for starters. luther wow! I looked at Library of Leng but didn't realize it would make me more mana in that way. I'll have to find room now. I'd appreciate an upvote if you like the deck! enpc, IAmTheWraith, good discussion on the Eldrazi titans... I'm inclined to agree that Kozilek is the best of the bunch. I will add him soon! As for the can trip haste enablers.. I'm not sure. They sorta make him cost 1 more mana. 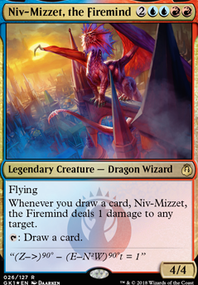 I'm debating whether they or stuff like Bloodsworn Steward , Fervor , Anger or Bloodlust Inciter are best... perhaps I will replace anger as I do not like that cards and it's only good if I can dump it before neheb comes out. What do you all think? Can trip that comes after Neheb or static effect that comes before? I forgot Flame Rift and Book Burning . I use Blur of Blades a lot and find it very useful. if you like STRONG BURN then go with Guttersnipe and Embermaw Hellion and any spell like Magma Jet , if you want small burn then go with Shock . for faster plays Bloodlust Inciter . Collateral Damage or Artillerize or Thud just Heat Shimmer . ( Mass Mutiny for fun.) good spells such as Reckless Abandon and Reversal of Fortune are just fun to play. Bushi Tenderfoot. 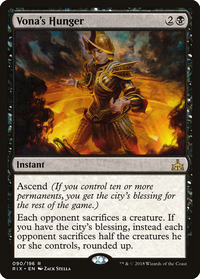 A 1 drop that if you manage to grow with Thalia's Lieutenant becomes monstrous when flipped, giving another huge threat that demands an answer, diversifying your overall list of major threats. Bloodlust Inciter. If allowed to live, allows for some disgustingly explosive turns in tandem with Aether Vial. Dragonmaster Outcast. Sideboard, never mainboard, but would give you a great answer to control decks and midrange decks if you are struggling. Empty-Shrine Kannushi. The Etched Champion of Humans if you have Kitesail Freebooter, Mantis Rider, and Noble Hierarch. If you were to mainboard any of these, I would suggest taking out Militia Bugler. It's expensive, and while it does draw a card, or at worst get rid of 4 dead draws, its a low impact card compared to the rest of the deck. Thanks for the tips! I added Tilonalli's Summoner, because of the mechanic, really good! Also added an arch of Orazca. 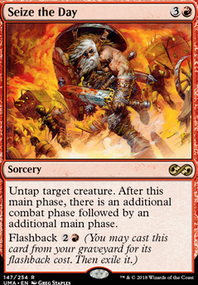 Have a difficulty seeing why Bloodlust Inciter would work particularly well in the deck, aside from being a nice card. Pls explain! So last night I ran this with my playgroup and things went pretty well. I can say that mono-red was surprisingly challenging with 4 Shock, 4 Lightning Strike, and 4 Fanatical Firebrand that came up 100% of the time to shoot down my Celebrants and Tetsukos, and the Summoner didn't come close to outracing the likes of Siege-Gang Commander. He never dropped a Goblin Chainwhirler but that would have been devastating as well. 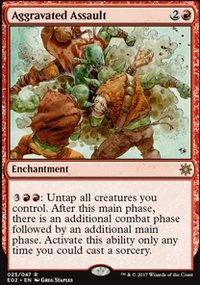 Spell Pierce seemed like it would have been really good to stop all the early game burn against all three of those decks, especially against those Goblins and the burn. I want to put a pair of them in place of some Protean Raiders in the sideboard. 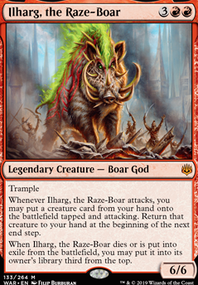 The games I played did run 4 Hope of Ghirapur in place of the Bloodlust Inciter and it actually worked out really well. I still think I want the Inciter, so I am going to split the difference with 2 of each and see what happens. I also put in the Mox Amber and it was turned on 90% of the time which was really nice. I had some turn 1 plays where I was able to Mox + HoG + Land and go into turn 2 with 3 mana. To fit it in I dropped to two Glorious End and surprisingly even with just two copies I was able to find it in most games. I think I will be going back up to 3 and go down one copy of Disallow because I found myself just short of the 3 mana to use Glorious End and protect it with Disallow, but Negate does the trick very nicely. Pulling in Spell Pierce would have worked too if I had it. I also think I can work in Karn's Temporal Sundering into the sideboard in place of the Helm of the Host since the Mox never had any troubles. Saheeli Rai was a credible threat and did exactly what I put her in to do. I am tempted to drop the Skinshifter and just have four copies of her, but the Skinshifter did its job very well too and I would like to keep them both. I'll continue testing but I'm very happy with where the deck is. I was really frustrated against Goblins, and after some tweaks, I can't wait to try it again. cfesler on BAM! You're frickin' dead, kiddo! As amazing as the turn two Bloodlust Inciter seems, our current meta is rife with Fatal Push in any deck with black and Aether Meltdown in any control deck. 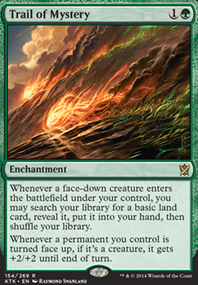 However, it is a very aggressive turn two in any budget matchup, and is quite fun with any deck. Also, I would suggest replacing hazoret with the Juggernauts. I know the deck is budget, but if you make that investment you would be partaking in a creature with equal standing to the Scarab God. Two Hazorets will run you about 30-35 bucks, and while I can see that is over double the price of the deck already, the investment will be worth your while. Champion of the Parish being a WEAK copy of anything?!? Riiiight... No, it's a 1-drop, that can be 3/3 by turn 2, without any direct mana investment (by playing either 2 other 1-drops, or by playing Gather the Townsfolk). Cartouche of Solidarity is just a bad a card as any other aura you play on unprotected creatures, and that is actually very bad. All your creatures are vulnerable to removal (duh, creatures are, that's why there's removal cards in the first place), but add in an aura on top of that, and opponents removal spells suddenly goes 2-for-1. Speaking of removal spells: Archetype of Imagination is really weak for a 6 cmc creature. Recommending a better card... hmmm... Lightning Bolt? It's good, and you don't play any. What is it you want to give haste so badly, that you've brought Bloodlust Inciter? None of your turn 2 creatures really just scream "speed me up!" Choice of counterspells: Casting cost is important. You don't get to use any of these, unless you hold 4 mana back to your opponents turn, which makes it hard to also play any of the humans that are actually supposed to win you the game. If your counterspells are mainly for protecting your creatures, try something like Spell Pierce and Mana Leak. Lands: Don't play bounce-lands unless you have some way of getting something extra out of them, and that way is Amulet of Vigor. Otherwise, if you play them as early as possible (turn 2), they don't give you any acceleration until turn 5, and if they're destroyed or bounced before that, you are locked out of the game. Fury of the Horde: how often do you actually have 2 red cards to discard to pay for it? I'm counting 12 red cards, total, but 8 of them are the same cheap creatures that you'd probably rather use for attacking, since you are getting 2 attack steps.